Are you looking for unique ideas for a celebration or fundraiser? 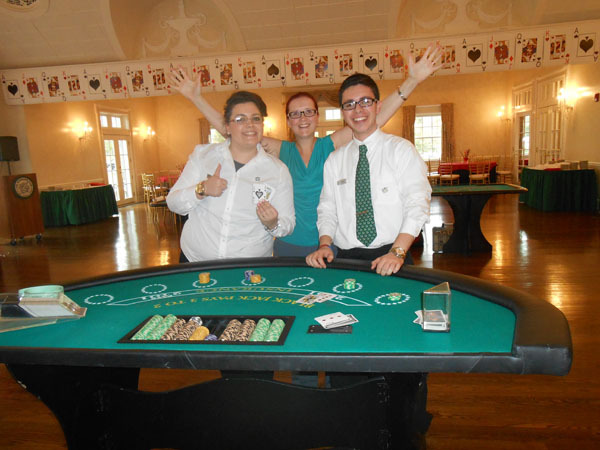 Hosting a casino party is a popular way to entertain guests with an affordable night of gambling and raffles. If you are wondering how you can make the evening more realistic, here are three ways we can help you create an authentic atmosphere for your event. The first step for party planning is to establish a guest list, especially if you are going to serve refreshments or rent a large space. Once you have accomplished this task, you can set the tone for the evening with a customized invitation. Include design elements like card suits and dice, or incorporate an elegant font to add a formal flair to the text. Be sure to indicate the date, time and location of the event in addition to any dress codes that will be implemented. When it comes to food and beverages, try serving refreshments in small portions to channel the ambience of an upscale, Las Vegas casino. Offer a tray of miniature cocktails to your guests or a selection of delicious hors d’oeuvres. If you prefer to serve a classic buffet, consider tying your theme into the menu items with a card cake or jello dice. You can even use black and red table runners, plates and napkins to polish the overall presentation. Finally, decorations are a key component of a successful party. 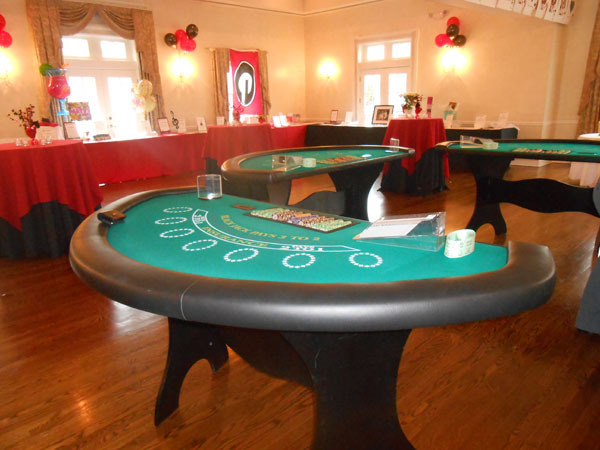 At Casino Parties LLC, we have a variety of rental equipment and accessories to achieve an authentic appearance for your event. 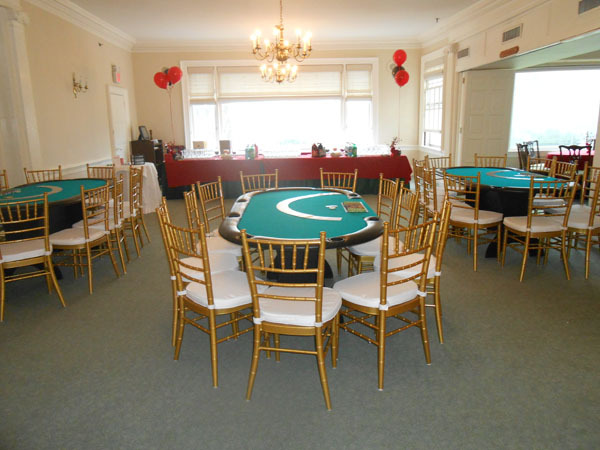 We also provide decorations for holiday celebrations, corporate gatherings and bachelor parties. 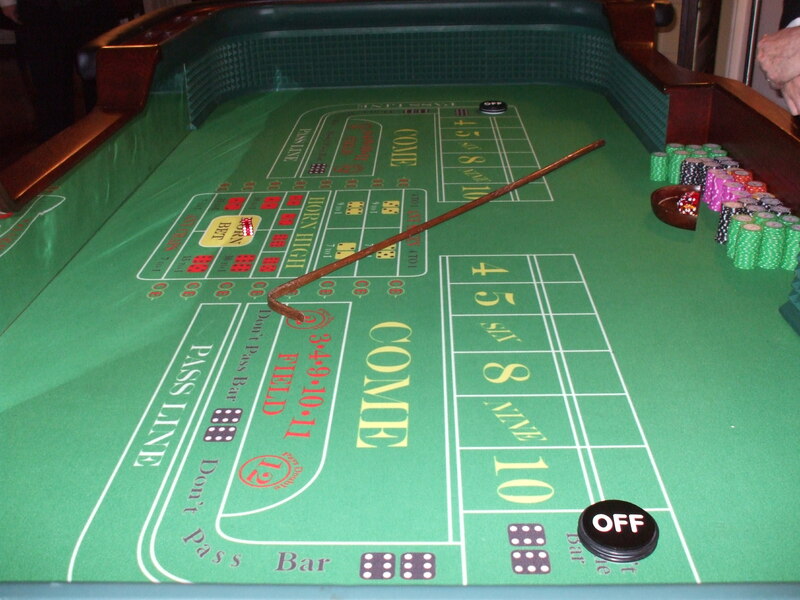 You can even order customized money as a humorous memento for your guests. Fortunately, you don’t have to tackle all these tasks on your own. 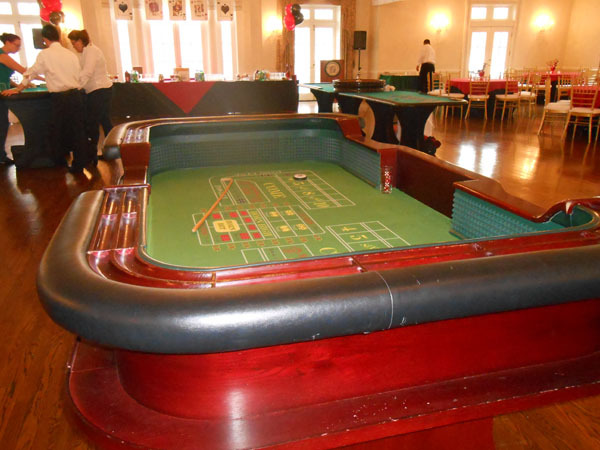 Instead, contact us today for affordable casino party rentals in your area.